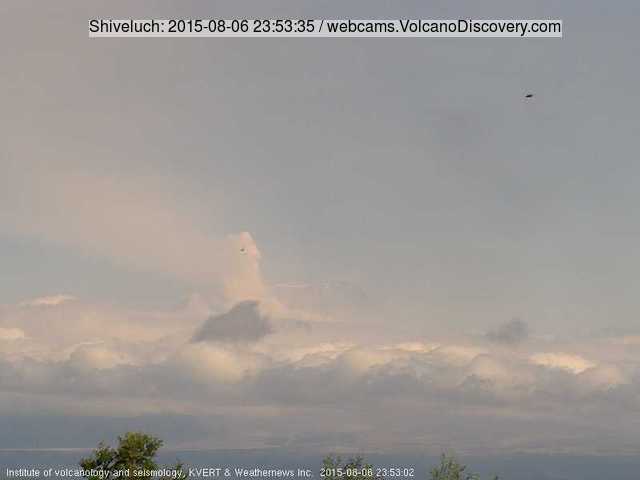 Shiveluch (Kamchatka): A moderately sized eruption occurred Thursday evening and produced an ash plume that rose to approx. 18,000 ft (5.4 km) altitude. Minor, near continuous ash venting has been intermittently visible on webcam imagery since. Aso (Kyushu): The eruption from Aso volcano's Nakadake crater continues. During the past day, several phases of ash emissions occurred. At night, incandescence can be seen at the vent. Nishino-shima (Volcano Islands, Japan): The volcano on the island continues to erupt lava flows that continue to gradually enlarge the island. The latest survey by the Japanese coast guard shows that lava flows have been traveling mostly through a tube system towards the east, where active flows continue to add land to the coast. Raung (East Java): Intense ash emissions continue to produce a plume that stretches hundreds of kilometers to the SW. Many flights to and from Bali were canceled or delayed today again. Nevado del Ruiz (Colombia): Sporadic ash emissions continue to occur from time to time at the volcano. A tremor episode on 6 August that started at 08:39 local time and lasted a few minutes was accompanied by the expulsion of ash that rose approx. 700 m.
Light ash fall occurred in Manizales, Villamaria, Cinchina, Santa Rosa and Pereira. Sabancaya (Peru): The volcano remains restless. A diffuse plume with light ash content is rising most of the time from the summit crater.